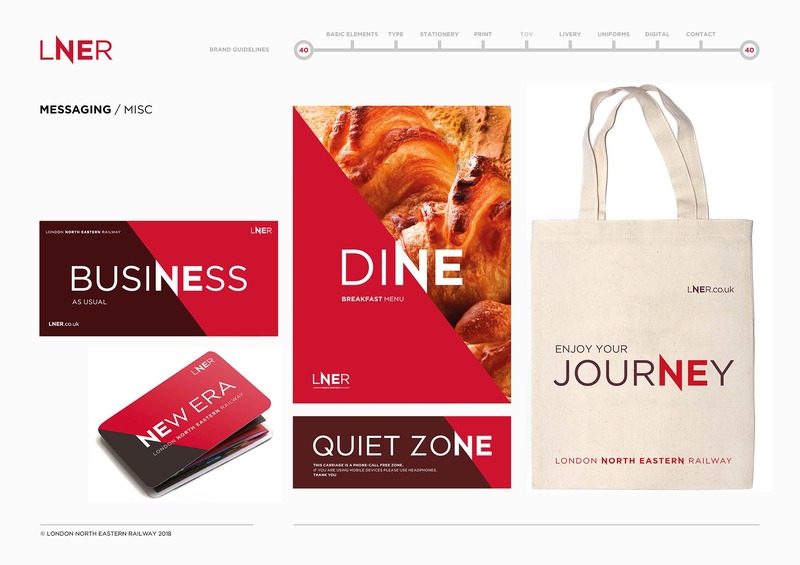 Branding of London North Eastern Railway is required prior to an announcement by the Secretary of State for Transport’s decision on the future of Virgin Trains East Coast Line. 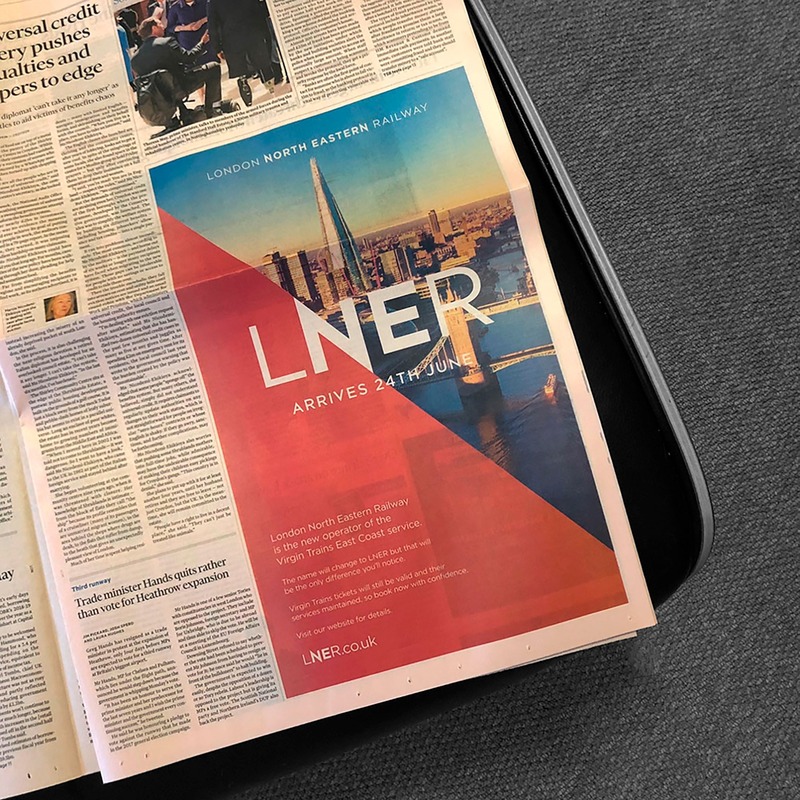 If the government decides to step in to help run the ailing franchise, branding needs to be in place to launch at short notice. 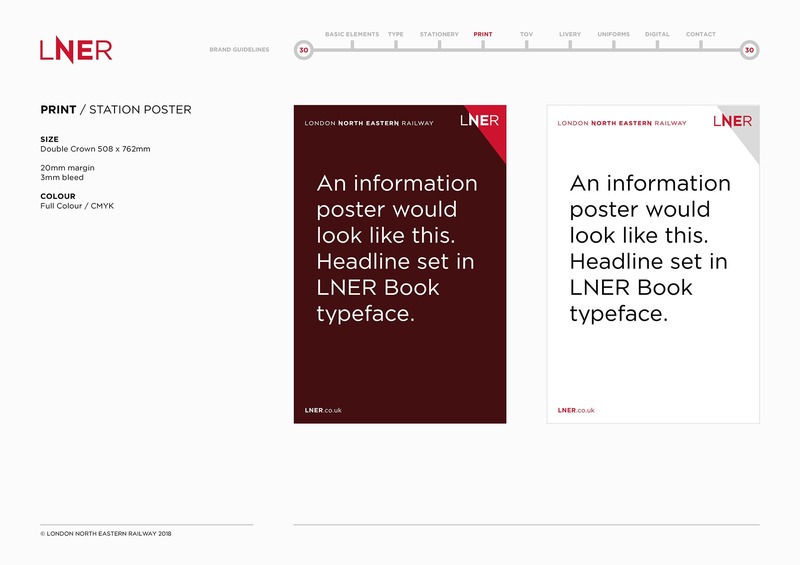 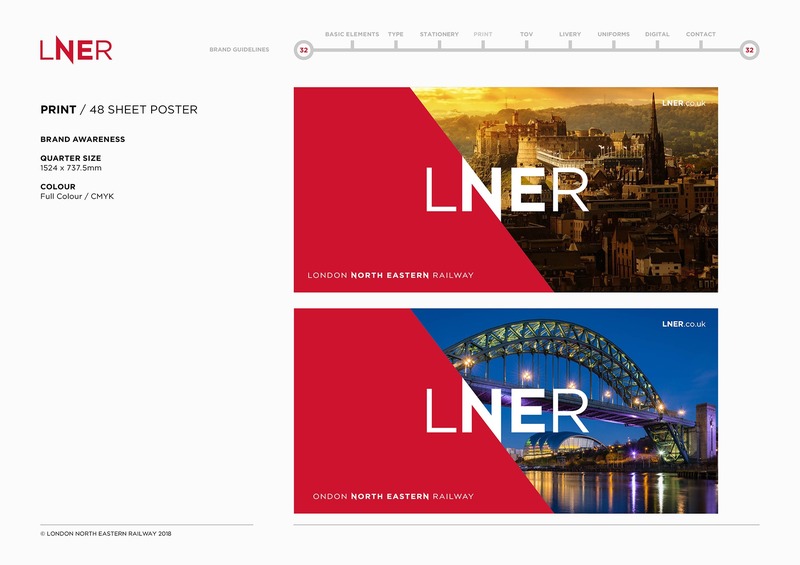 Prior to the announcement that LNER would go-ahead, we created branding, guidelines and systems, that post announcement were implemented by our team in London and the Virgin Trains East Coast in-house design team in York. 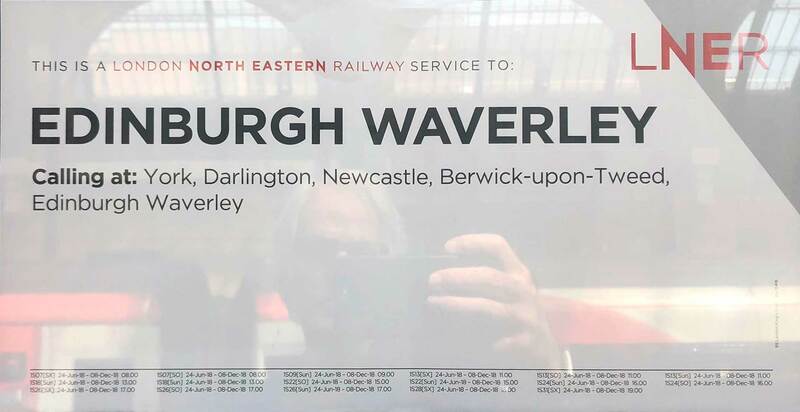 Resurrecting North Eastern Railway (LNER) could easily have been compared to the recent rebrand of First Great Western to GWR; we therefore intentionally steered away from a nostalgic retro feel, that railway aficionados may have loved, but wouldn’t have worked for LNER. 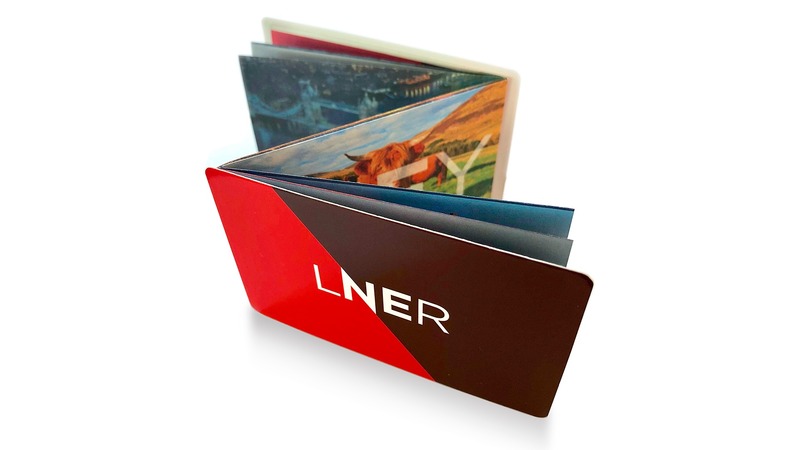 The transition from Virgin Trains East Coast (VTEC) had to be smooth one and it also needed to be cost effective. 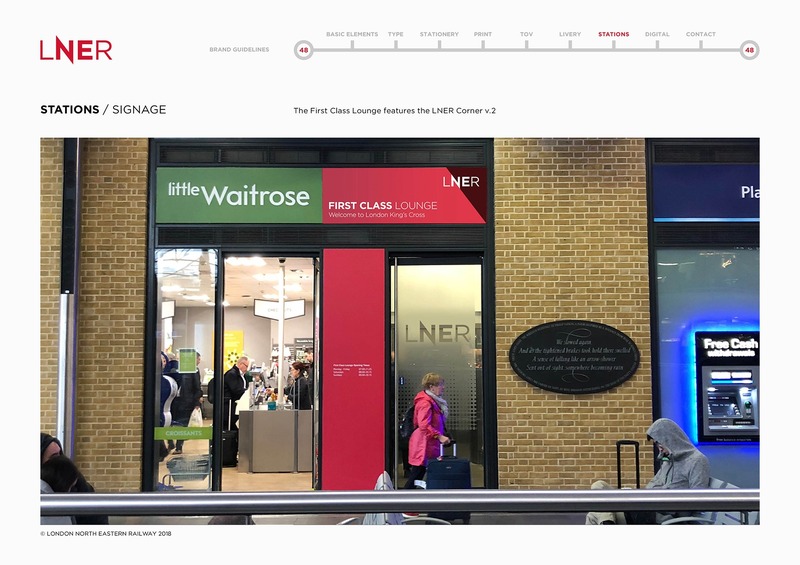 To bring back the ‘Apple Green’ or ‘Garter Blue’ colour palette from LNER’s glory years, when interiors of the new VTEC Azuma fleet had already been agreed and produced, would have been a costly exercise. 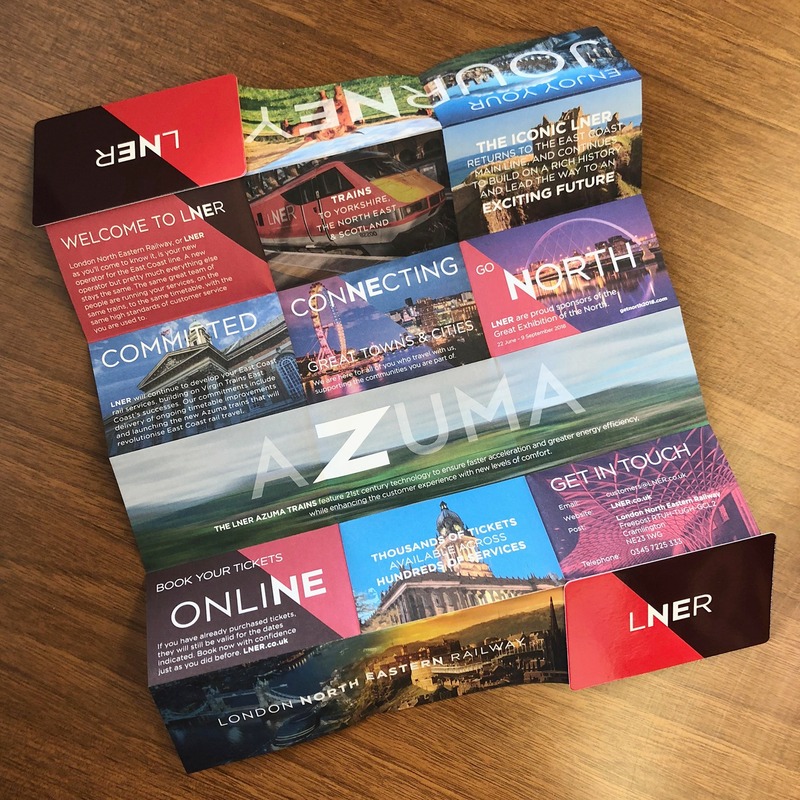 We also wanted to make sure the rebrand from ‘Day One’ was credible and not a sticking plaster exercise, and where possible we produced new collateral from scratch. 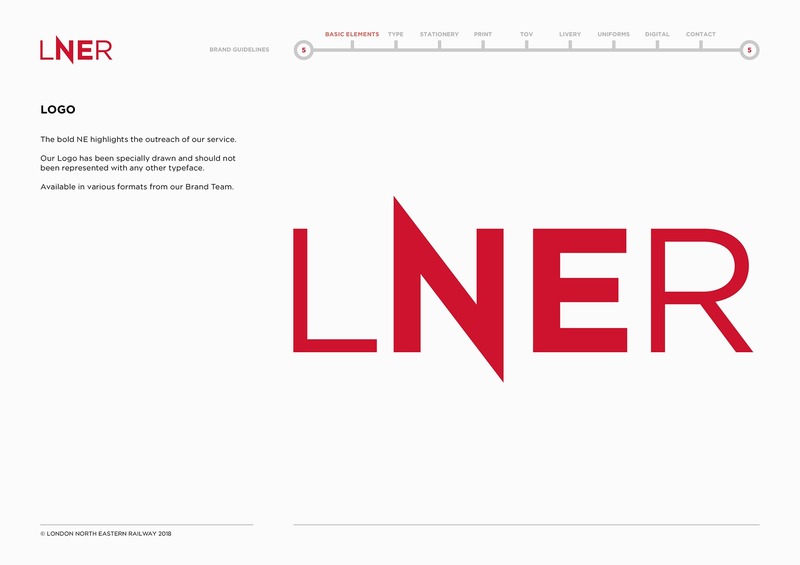 The bold but simple typography of LNER and the dynamic directional N acts as bold divider device for colour and images. 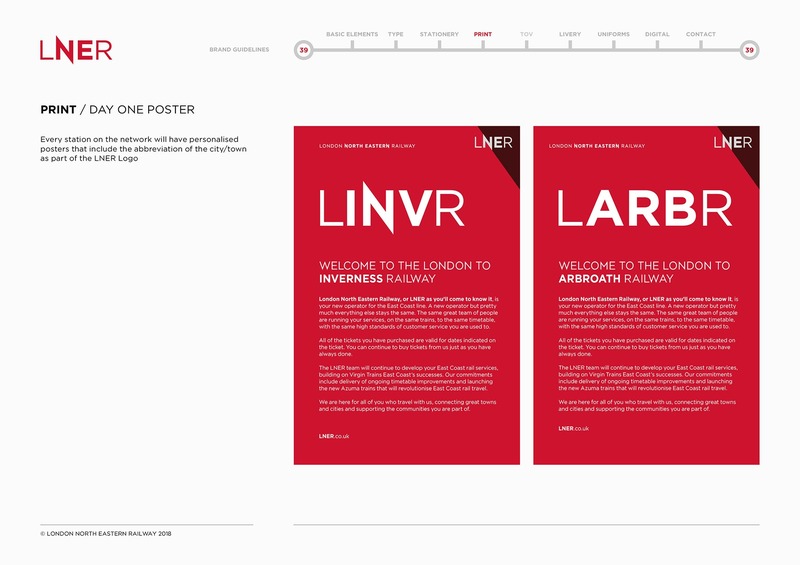 Not everyone will know what LNER stands for so we also designed a descriptor to spell it out. 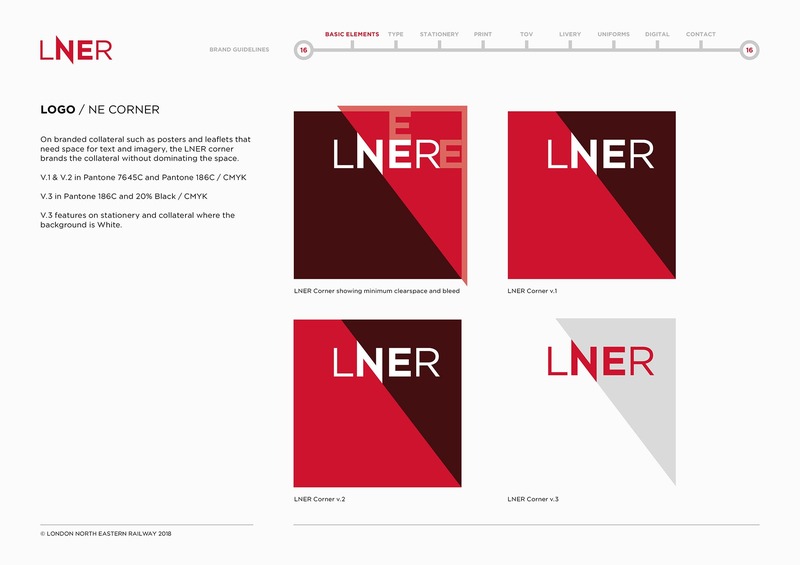 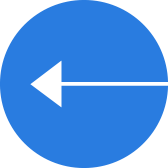 We developed a secondary logo device, which we call the ‘North East Corner’, which always appears in the top right hand corner. 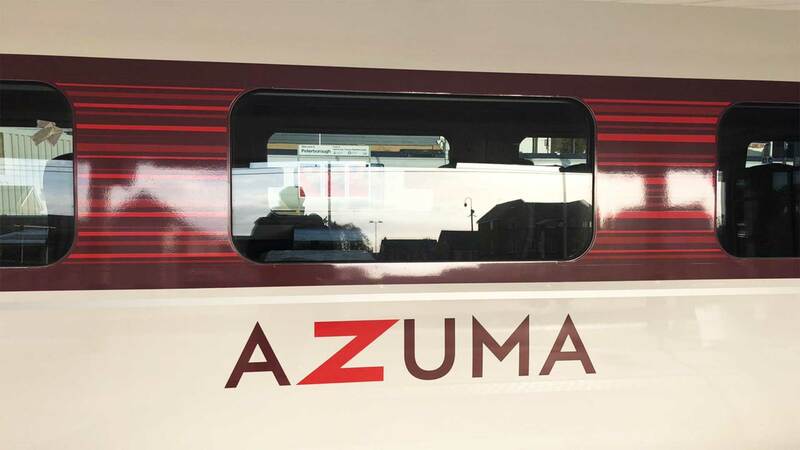 AZUMA, the name of the new InterCity Express trains, was created and marketed by VTEC and so is familiar to passengers on the East Coast line. 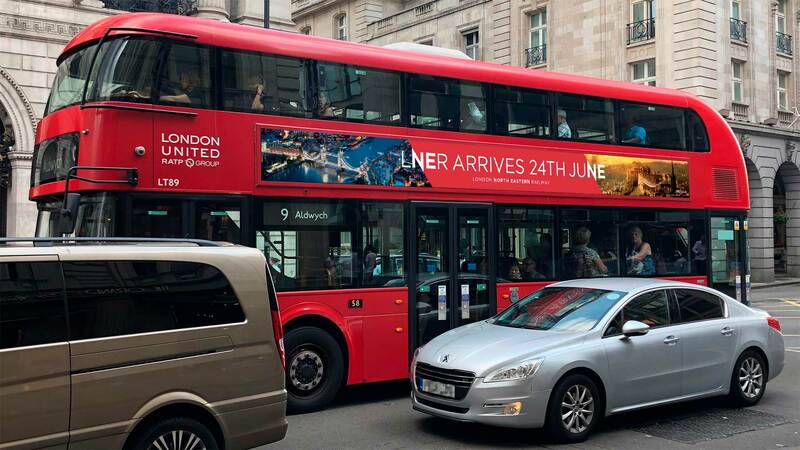 It made sense to build on this awareness. 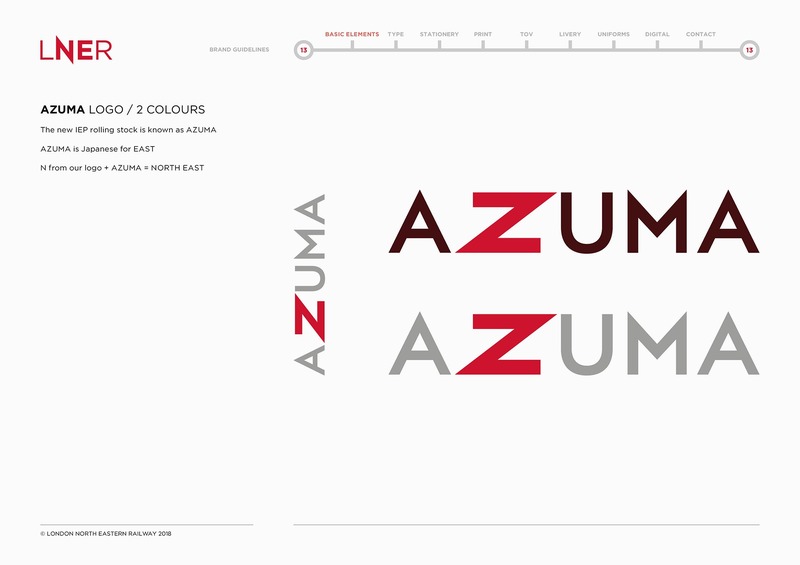 Azuma is Japanese for East and by integrating the letter N from LNER to form the letter Z in AZUMA, the logo spells out North East. 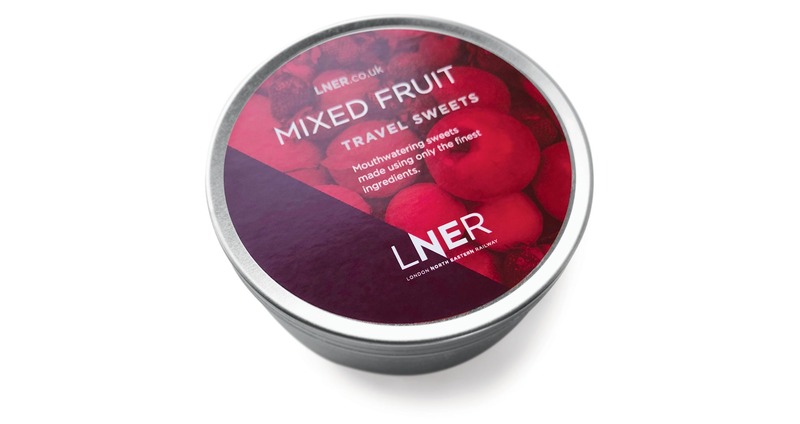 Travel sweets were a popular giveaway too! 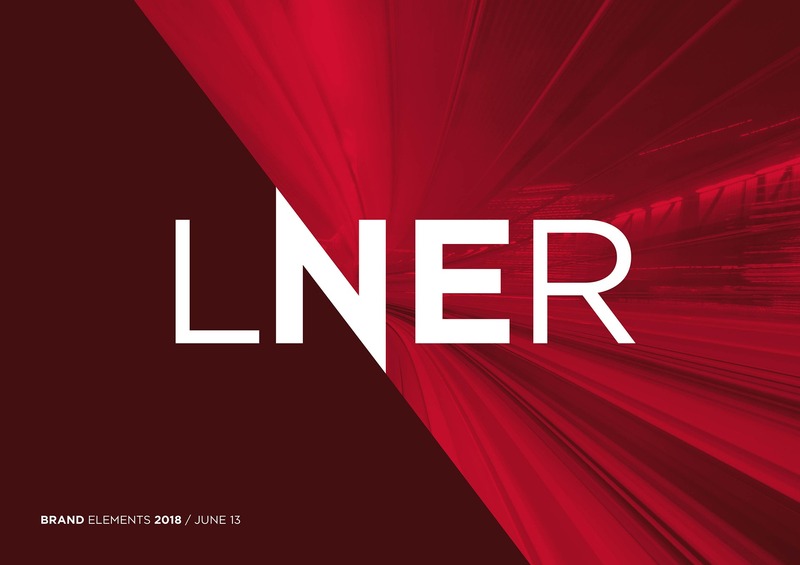 LNER is here to stay and the name will remain whatever franchise runs the railway in the future. 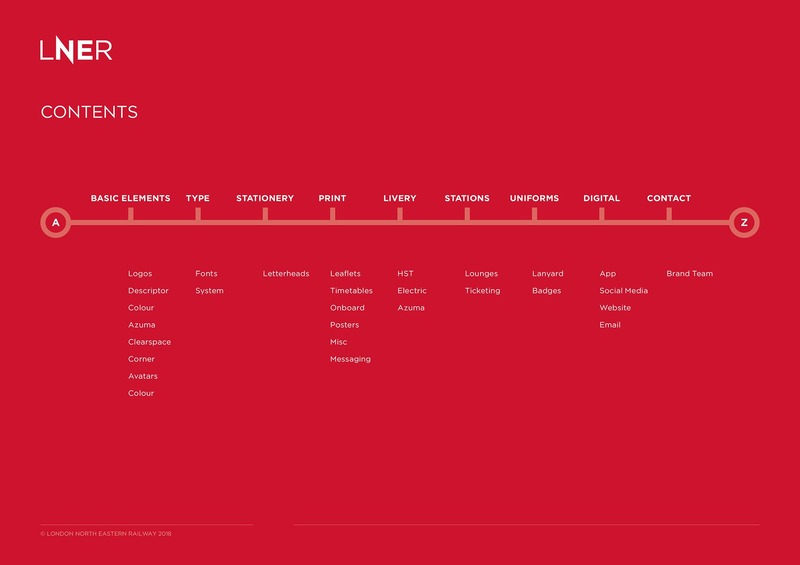 We are very proud of the work we have created in resurrecting this iconic brand.